DAN BRODIE - Dan Brodie E.P.K. D.B. in full flight. Image (and copyright) by Stephen Sloggett. Dan Brodie is a renowned Australian singer-songwriter. Since 1999, Brodie has captured audiences around the world, releasing a succession of albums (eight in total) which have been nominated for numerous awards. Born in Melbourne, Australia, Brodie was raised in a musical family, his father, a professional guitarist and singer taught Brodie the basic chords of guitar and piano and along with his brother Chris, they began making music together, playing as fast and loud as they could to whoever would listen, not letting their lack of experience get in the way of having a good time, honing their skills of playing live to an audience, usually in a garage, with the “audience” consisting of a handful of curious local neighbourhood kids. In 2001, Brodie, with his band the Broken Arrows, signed to EMI Australia and Last Call Records in France and have performed with a diverse range of artists including The Strokes, Steve Earle, Paul Kelly, You am I, Tony Joe White, The White Stripes and Gillian Welsh. His musical talents have taken him to the U.S., U.K., France, Spain, Scandinavia, Switzerland and New Zealand playing such iconic venues as CBGB in New York, The Continental in Austin, The Exit/In in Nashville and The Olympia in Paris. Brodie's talents are recognised in his native Australia with two ARIA (Australian Recording Industry Association) Awards for “Empty Arms, Broken Hearts” as well as an unfaltering reputation as an incredible live performer with acclaimed appearances at festivals such as the Big Day Out, Byron Bay Bluesfest, Splendour in the Grass and the Binic Folks Blues festival in France. Joining Dan will be longtime collaborator and world renowned guitar slinging brother-in-crime, Chris Brodie (who also moonlights as bass player with Aussie rockers, Dallas Crane!). Un Deux Trois Saucisson! is the first single from Brodie’s forthcoming 2019 Album release. The slice of “60’s garage wig- out” was recorded at The Shrimp Shack, Pascoe Vale South in Melbourne, Australia by Mic Hubbard (Spencer P. Jones). A video for the single was made in late January and filmed on location at Elwood Beach, Melbourne. Shot and Directed by Ryan Kendall and written and produced by Joe Villanti, it follows protagonist CJ Fortuna as he battles to move forward in life, but finds himself stuck to the one spot, suffering the slings and arrows hurled at him from the characters he meets on his journey. Edited and framed with comic book style intensity from highly sought after Melbourne based digital design studio, Ocular Caviar, each frame brings more trouble for the embattled jogger. DOWNLOAD "UN DEUX TROIS SAUCISSON !" "Un Deux Trois Saucisson!" 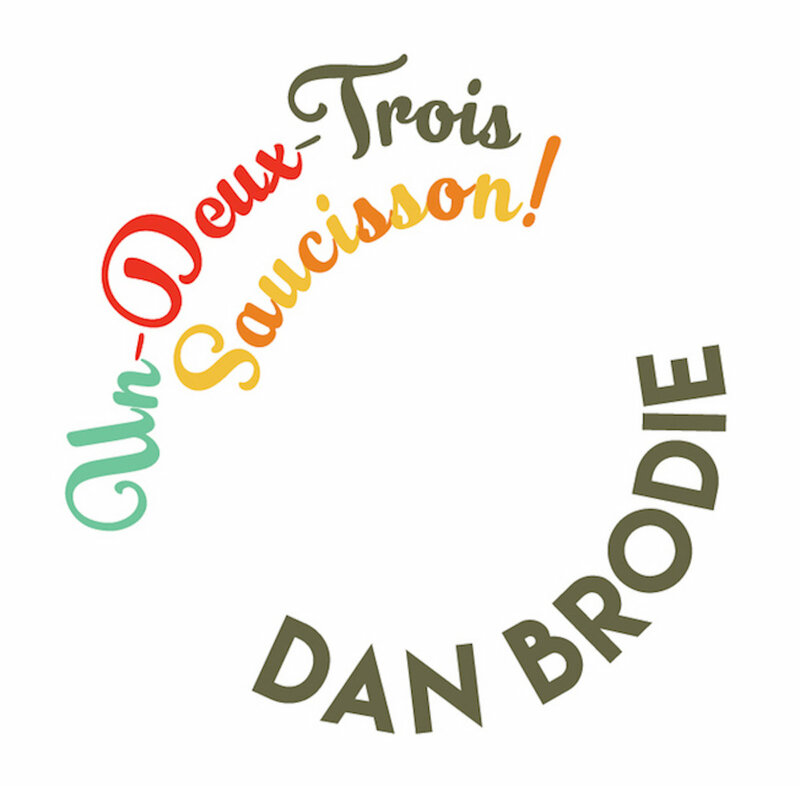 s the first single off Dan Brodie's forthcoming album.